Olivia O’Leary explores the diverse and vibrant world of poets and poetry in The Poetry Programme on Sundays at 7:30 pm. In the Poetry Programme on Sunday 28th April at 7:30 pm Olivia O'Leary meets Nuala Ní Dhomhnaill, acclaimed Irish language poet and former Ireland Professor of Poetry, at her home in Dublin. 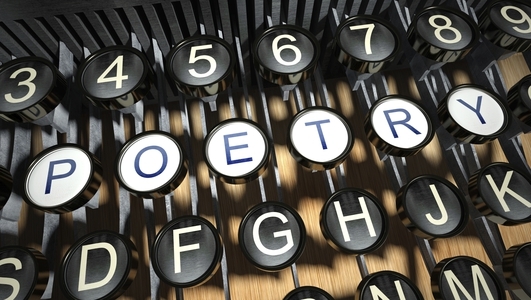 You can contact the Poetry Programme by emailing poetry@rte.ie, tweeting @PoetryProgRTE, or on our Facebook page www.facebook.com/RTEPoetryProgramme. You can also listen back to all previous programmes in the Programme Archive (see above right). The Poetry Programme: For everyone who loves poetry. And those who just don’t know it yet. A Rockfinch production for RTÉ. 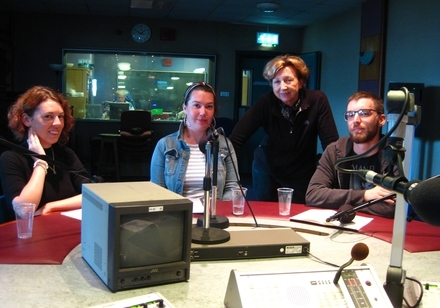 Presenter Olivia O'Leary meets three young, Cork-based poets, Sarah Byrne, Roisin Kelly and James O'Leary. A Rockfinch production for RTÉ. In the Poetry Programme on 7 October 2018, at 7:30 pm on RTÉ Radio 1, presenter Olivia O’Leary meets three young, Cork-based poets, Sarah Byrne, Roisin Kelly and James O’Leary. Roisin Kelly was born in Belfast and raised in Leitrim. After a year as a handweaver on a remote island in Mayo, and a Masters in Writing at the National University of Ireland, Galway, she now calls Cork City home. Roisin is assistant editor of Irish literary journal The Penny Dreadful and her first chapbook, Rapture, was published by Southword Editions in November 2016. James O’Leary lives and works in Cork and is a poet and reviewer. He was selected for the Poetry Ireland Introductions Series in 2017. His chapbook There are Monsters in this House was published in the New Irish Voices series, volume 4, published by Southword Editions, the publishing section of the Munster Literature Centre. Sarah Byrne lives in Co. Cork. She was educated at Trinity College Dublin and Newnham College, University of Cambridge where she specialised in criminology and psychology. She recently completed a Masters in Creative Writing at Kellogg College, University of Oxford. She worked for mental health and criminal justice reform charities from 2008-2017. She now works as a freelance editor and writer. Her poem Ark was published in the Irish Times in September 2018. She is the founding editor and publisher of The Well Review, a print journal that publishes work by emerging and established writers and visual artists. The Poetry Programme is available to listen back to on the RTÉ radio player. Olivia O'Leary explores the diverse and vibrant world of poets and poetry. A Rockfinch production for RTÉ.